JazminRae Makeup LLC, owned by the award winning makeup artist Jazmin Rae, is Philadelphia’s boutique beauty collective. Visit us at our conveniently located studio in the heart of Old City, Philadelphia. We offer customized hair and makeup styling services at our studio, or on-location wherever you are located. Our associates are personally trained by Jazmin Rae to ensure our beauty beliefs, aesthetic, and skill remain consistent. With a makeup and hair team that is highly specialized and trained, you will be certain to love each artist and walk away happy every single time. Let us work with you to create a look that is perfect and unique just for you! In the last decade, Jazmin’s experience has taken her on many great and rewarding adventures. She has been a master makeup artist on some of Philadelphia’s most prestigious bridal beauty teams. She has also had the pleasure of working with some prestige clients’ marketing campaigns, such as Visit Philly, Boscovs, BHLDN, Safian and Rudolph Jewelers. In Jazmin’s extensive career, she has worked in different areas of both the media and fashion industries, including print, television, and film. She has consistently partnered with designers such as Rebeca Imperiano and Victoria Wright to provide hair and makeup styling for online marketing. Her career has also been bolstered by a client list that includes ROZES, Erica Lundmark, Dateline NBC, and Doris Kearns Goodwin, among many other celebrities. Though she loves working with these industries and individuals, Jazmin’s main passion lies in creating a once-in-a-lifetime experience for brides on their wedding day. To cater to each and every individual, Jazmin’s work begins with a multi-step personal tailoring assessment which gives every client the best skin prep and makeup application for their personal skin type, tone, and texture. This is always a rewarding process that isn’t just about eyeliner and lipstick — it’s about learning, enrichment, relaxation and, of course, fun. 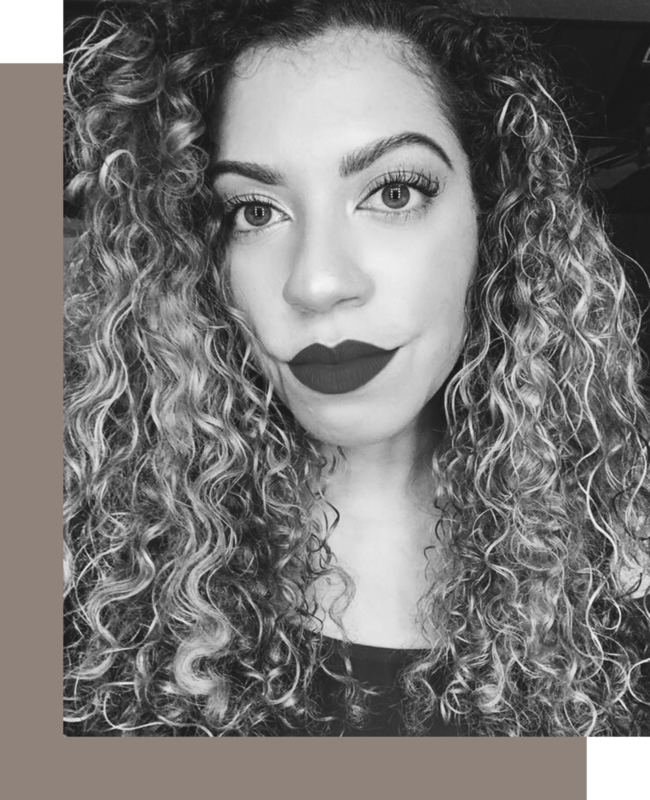 Jazmin currently offers hair + makeup services for print and video work, makeup for weddings, and permanent makeup at two different locations in PA.
Alison’s love for all things beauty started at a young age. Always fascinated by the creative process of art and crafting, she later found a strong passion for hair. With over 13 years of experience working with on-location brides, she has grown to love and appreciate the many opportunities to be of service on someone’s big day. Alison is amazingly creative and her work is never short of just that. Her talents are recognized in every hair style she gets her hands on. Beyond bridal styles, she is a natural with editorial, magazine worthy hairstyles. We are honored to have her aboard! Sofia has always had a true passion and love for makeup. She began her makeup artistry journey 2 years ago upon graduating from The Beauty Institute of Schwarzkopf Professional. Since then, Sofia has worked closely with other creatives for FUSE magazine, Daydreamers Magazine, and VOLANT magazine. She has also worked behind the scenes on Philadelphia Fashion Week and continuously collaborates with designers and photographers. We are absolutely thrilled to have Sofia on our team! Kelsey has over 7 years experience in the bridal industry and a lifetime of loving creating art. Her textured up-do styles have her brides leaving trials feeling excited and confident. Her calm, laid back demeanor keeps a wedding day relaxed and running smoothly. Kelsey is a Barber Stylist in Philadelphia and is available for Sunday weddings. We are honored to have Kelsey work with us - she is truly a talented artist. At a young age Abria knew that she wanted to use her creativity to make woman feel and look beautiful. She loves learning new techniques, and is always up-to-date on the latest makeup trends. Her goal is to have every client feeling better than they did before meeting her! We are pleased to have Abria on our team! Meet our Tyler School of Art graduate, creative makeup artist, Danielle! She has been an art lover since her childhood, even anticipating "art day Fridays" in school. She began her makeup journey as a face painter at Dutch Wonderland. Since then, she obtained her Cosmetology license, and blossomed as a makeup artist - she now works one-on-one with models and photographers to create stunning beauty looks. Danielle has joined our team in 2018 and is ready to beautify brides in the upcoming years!